Professional Experience Associated Professor at the Universidad Autónoma de Madrid. Head of Oncology at the Nacional Institute of Oncology (Spain, Madrid), in the Hospital Ramón y Cajal (Madrid), in the Hospital Universitario de la Princesa (Madrid). 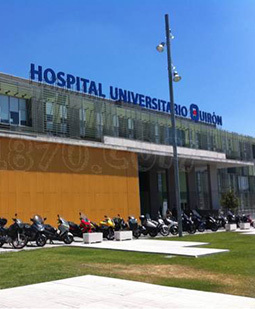 Head of the Oncology Integral Unit at Quirón Madrid University Hospital. Certifications Specialization in Internal Medicine, Radiotherapy Oncology and Medical Oncology. Memberships Spanish Society of Medical Oncology.